Naomh Eanna's Leinster club SHC debut yielded an impressive victory over Camross in O'Moore Park. Despite being without suspended county star Cathal Dunbar, the Gorey men were more comfortable winners than the scoreline suggests with Camross swooping for 1-2 in injury-time. 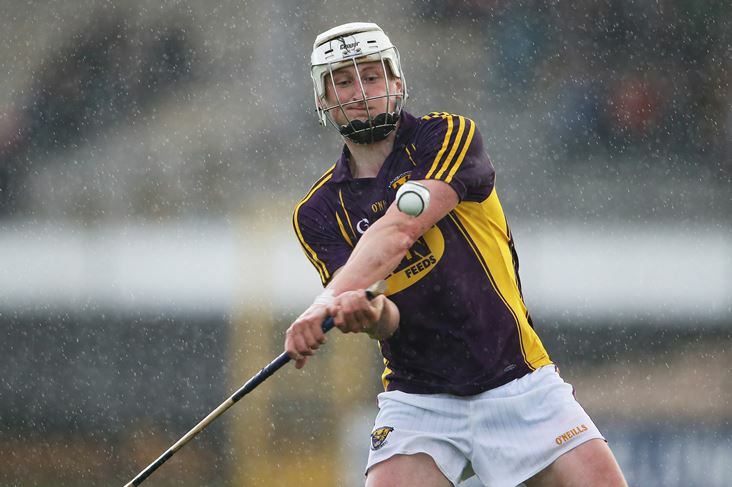 David O'Brien netted twice in the opening 22 minutes and county forward Conor McDonald raised another green flag just before half-time as the first-time Wexford champions set up a home provincial semi-final against Henry Shefflin's Ballyhale Shamrocks on November 18. Zane Keenan, who top-scored with 1-8, helped Camross to an early 0-5 to 0-1 lead before O'Brien's first goal in the 12th minute drew Naomh Eanna level on 1-2 to 0-5. Keenan replied with a goal from a free at the other end, but the visitors never looked back after O'Brien notched his second major in the 22nd minute. McDonald added a third six minutes later to leave Naomh Eanna perched on a 3-10 to 1-8 interval lead. Camross reduced the deificit to six points with a hat-trick of scores from Eoin Gaughan, Keenan and Niall Holmes after the restart, but they couldn't get any closer as points from the accurate Padraig Doyle and Darragh Hughes pushed the winners 10 clear before substitute Oisin Bennett grabbed a late consolation goal for the well beaten black and ambers. Naomh Eanna - B Kinsella; T Stafford, B Travers, L Kinsella; J Cullen, S Doyle, E Conroy; A Doyle, G Molloy (0-1); C McGuckin (0-2), P Doyle (0-9, 5f, 1'65), D Hughes (0-3, 2f); D O’Brien (2-2), C McDonald (1-1), W Cullen. Subs: J Cushe for W Cullen, C Hughes for D O’Brien. Camross - T Dunphy; A Mortimer, M Moloney, J Phelan; L Burke, A Collier, D Palmer; M Collier, T Burke; C Collier (0-1), Z Keenan (1-8, 1-7f, 0-1'65), N Holmes (0-3, 1f); M Dowling (0-1), D Delaney, E Gaughan (0-1). Subs: O Bennett (1-1) for D Delaney, L Delaney for M Collier, G Burke for T Burke, D Gilmartin (0-1) for M Dowling.